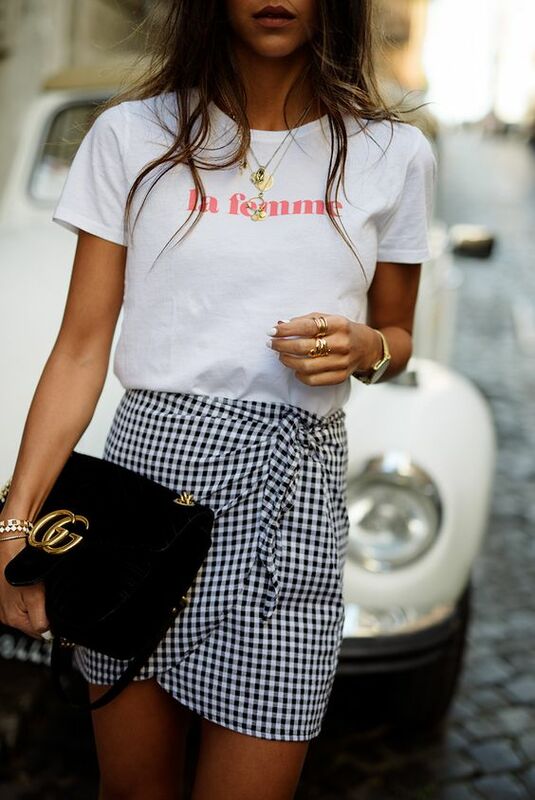 If you are going to a brunch with your gals or your love, it’s time to dress up a little bit but still feel comfy because who wants to feel tension at the weekends? Here are some stylish and simple ways to dress up and feel cozy. Shorts and jeans guarantee that you’ll feel comfy and look casual, so this is the first thing that comes to your mind when you are getting ready for a brunch. 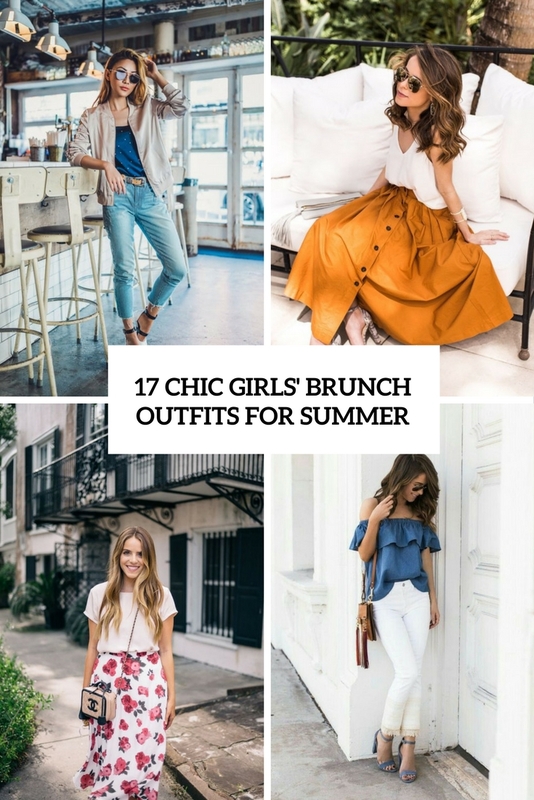 Cropped jeans or denim shorts of any shade are a perfect idea for a summer brunch. Pair them with a comfy top or a printed tee, add a long cardigan or a cropped jacket if it’s chilly. 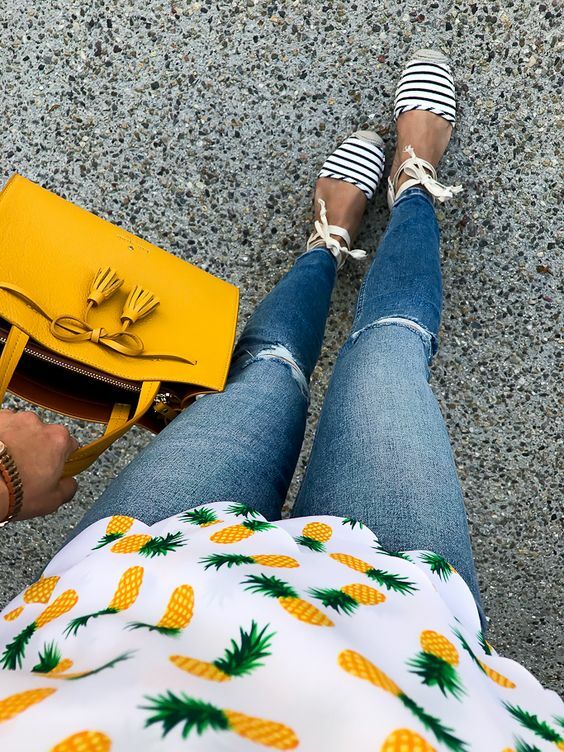 Make an accent with bold lace up shoes, espadrilles or sneakers and take a bold tote or crossbody. A shirt dress is a very trendy clothes item that will never go out of style, so pair it with a cool bag and tassel heels to achieve a cool feminine look. 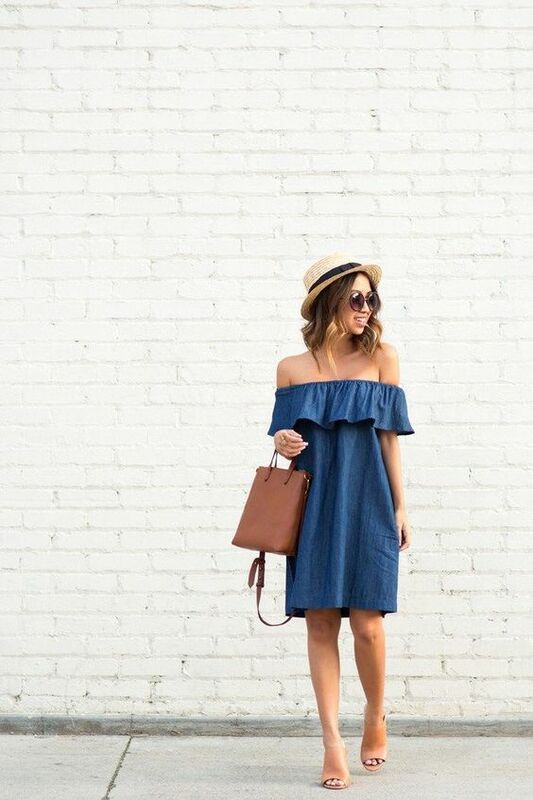 A chambray off the shoulder dress is a trend of this season, wear it with sneakers and a crossbody bag and you’ll be fabulous! 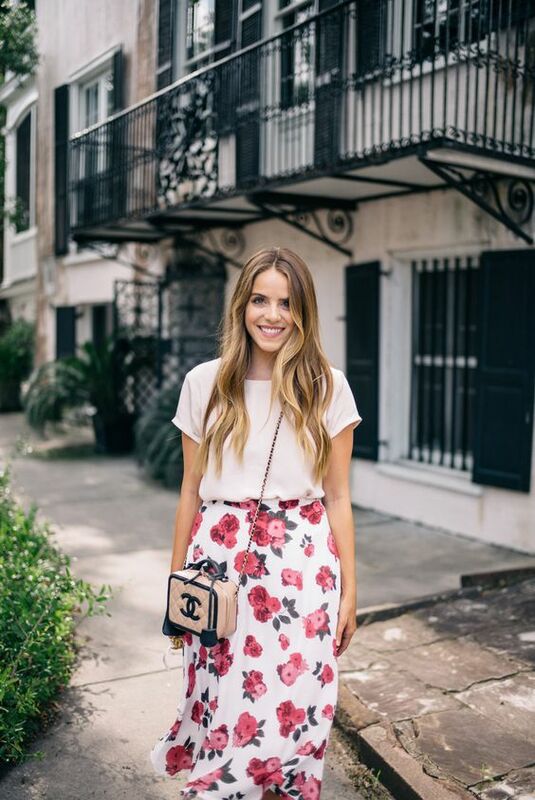 A midi skirt is always a win-win idea that is easy to style: just add heels and a neutral top and voila!